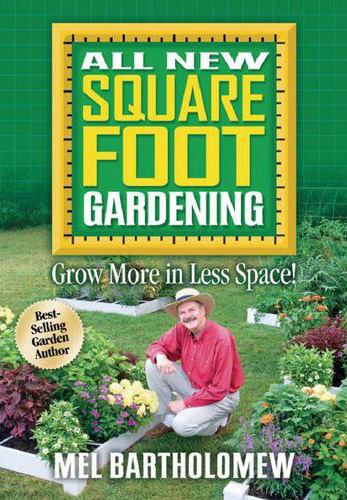 All New Square Foot Gardening: When Mel Bartholomew, a retired engineer and efficiency expert created the “square foot gardening” method, he found the solution to the frustrations of most gardeners. His revolutionary system is simple: it’s an ingenious planting method based on using square foot blocks of garden space instead of rows. Gardeners build up, not down, so there’s no digging and no tilling after the first year. And the method requires less thinning, less weeding, and less watering. Do you know what the best feature is in “All New Square Foot Gardening?” It is that anyone, anywhere can enjoy a Square Foot garden. Children, adults with limited mobility, even complete novices can achieve spectacular results. Of course, you don’t have to worry about fertilizer or poor soil ever again because you’ll be growing above the ground. Also included are simple, easy-to-follow instructions using lots of photos and illustrations.